Going green has become a hot topic in pop culture and the media of late, with a number of high profile architects and celebrities showcasing the latest and greatest in high-end, sustainable homes and lifestyles. While most of us would love to live in the green palaces we see on television design shows and in magazines, a phenomenon, which can be described as green elitism, has emerged that causes most of us to feel that the expensive sustainable technologies and new advances in building materials are simply out of reach, relegating us to lives inhabiting outdated toxic boxes. Until sustainable technologies infiltrate the mainstream and become less expensive, there are many ways for people from all walks of life and income brackets to incorporate sustainable practices into their daily lives while making an incalculable impact on the health of the environment. Everyone, including renters, single-family home owners and condo owners can make simple changes in living habits that can have profound long-term benefits both to individual health and to that of the planet without giving up any of the comforts and luxuries we’ve become accustomed to. Being green is not so sophisticated. It simply involves pairing down our hectic object-driven culture to a simpler way of life. Think of all that we do as a footprint on the earth, what kind of print are we leaving? Are we rock stars trashing hotel rooms or are we welcome guests who leave the home in better condition than we found it? A few tips listed here, by no means exhaustive, prove that change really is in our hands. We don’t have to wait until we can afford the latest hybrid car or palatial green home. We can paint our lives many shades of green and collectively be the change we wish to see. One of the most important areas of sustainability in the home concerns the amount of waste we generate. The “out of sight, out of mind” method of addressing our overflowing landfills may be comforting in the short term, but it is rather like an ostrich sticking its head in the sand to hide from the dangers of an ever-growing mountain of waste. While advances are being made in recycling and waste disposal, these are both expensive and use large amounts of resources. The real issue is not what to do with waste, but rather how to create less of it in the first place. In a consumer culture that maniacally encourages us to buy more, we will set more than our wallets free by choosing to go against the grain, consuming and wasting less. There are four main types of waste: recyclables, packaging, food and goods. 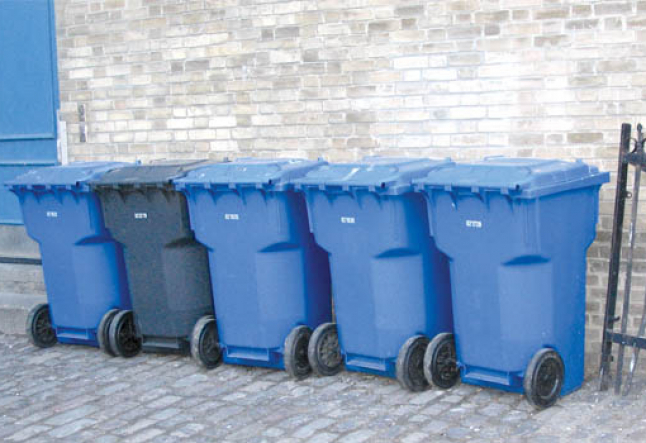 Most California cities have some sort of recycling program, but it’s important to know exactly what items your city recycles. Most recyclable items display a number that correlates to a method and level of recyclability. Unfortunately, here in the U.S., governmental information relating to available recycling programs and rules can be difficult to access so it behooves us as individuals and communities to do the research ourselves and pass it on to our friends and neighbors. A huge amount of packaging waste can be avoided by shopping with cloth bags and making the choice to consume more whole foods rather than prepackaged, processed foods. Food waste can be easily composted, providing rich nutrients for gardens and potted plants. There is a wide range of affordable composting equipment on the market to accommodate everyone from those with large open spaces to apartment dwellers with the advent of small, odor-free, self-contained composting machines. Children are naturally fascinated by nature and by learning how things work. Composting can be a fantastic way to foster an interest in the environment as well as an appreciation for the fragile wonder of nature. When it comes to ‘goods’ waste, think creatively. There are countless places to donate just about everything from computers to clothing. Yard sales can be a lucrative way of cutting clutter and keeping unwanted or outdated items from ending up in landfills. Old clothes can be ripped up and reused as rags. There should be no reason to buy paper towels for cleaning, think reuse rather than one use. Discarded clothing can also be used for family art and craft supplies or quilting. A simple once-in-a-lifetime experiment that will illustrate the impact our waste has on the environment involves collecting everything you would normally throw away somewhere visible in your home for one full week. In most cases the result is sobering when we see just how much we are sending to landfills on a weekly basis. Regardless of how much we work to conserve and consume less, at some point, buy we must. At those times it is important to be concise and mindful. Assess the lifecycle of the product. How much energy was used in its creation? Were its production methods healthy for the employees who manufactured it and for the planet? Is it healthy for you to take into your home? Do you need it? The idea is to embrace simplicity and fill our lives with satisfaction derived from within rather than short-lived materialistic satisfaction. With regard to cleaning products, if the label reads “Consult poison control if ingested” then by no means should it go down the drain or into our soil! Discontinue using any harsh products such as bleach and replace them with natural, biodegradable products. There are several companies producing high quality, earth-friendly home care products, most of which can be found at your local health food store. There are also many common pantry items that can be used in place of conventional home care products such as vinegar to clean glass and mirrors, rosewater as toner for the face, even chamomile tea to wash hair. Moderation, not abstinence, is the key. Deciding what we need and what we can comfortably live without allows us to find the perfect balance between tradition and innovation. For simple home updates such as new paint, always use low or zero-VOC paints. VOC (volatile organic compounds) off-gas or release harmful chemicals into the air mostly during the first few days, giving that ‘new paint’ smell we love, but which is harmful to our health. If your home doesn’t need a new coat of paint then consider not painting. Keep in mind, the lighter the color, the less VOC’s. When painting with a light color, zero-VOC paint, one can occupy the room immediately, but if painting with dark pigment, even with a low-VOC base, there will still be some off-gassing and poor indoor air quality. Visit livinggreen.com for low VOC paints and other home improvement products, or visit their stores in Culver City and Santa Barbara. Installing dimmers on lights is a great way for both owners and renters to reduce electricity costs and consumption. Bright lighting isn’t always necessary, especially during daylight hours. Using low voltage lighting and low wattage bulbs wherever possible makes a significant dent in energy consumption, saving high wattage task lighting for areas such as your desk or kitchen. Another surprisingly simple way to save money and energy is not only to turn off, but to unplug electrical appliances when they are not in use. The majority of electrical appliances continue to consume energy even when they are in off position. It is estimated that this costs American consumers over a billion dollars a year. If you don’t have time to individually unplug, plug items into a power strip with a cutoff switch. You can turn off and unplug just once at the wall. For air quality, ventilation and cooling, ceiling and floor fans are a great solution. Though they still consume energy, their consumption is far less than most air conditioners and no CFC pollutants are released into the atmosphere. We often hear about outdoor pollution but only recently we have learned that indoor air quality tends to be worse. Encouraging as much ventilation as possible through the use of fans and screened windows and doors combined with the use of oxygenating plants indoors can significantly improve indoor air quality as well as control indoor temperature during the warm months of the year. Like paint and wood stains, new synthetic carpets also off-gas VOC’s. Once they stop emitting VOC’s they are simply regarded as dirt traps. Indoor pollutants can be significantly decreased by removing carpets and refinishing floors with a zero-VOC varnish or even leaving them raw. Concrete can be stained or painted with stylish colors and designs. Depending on what type of carpet you have, certain carpet companies will collect your old carpet and recycle it into new. Visit carpetrecovery.org for more information. Though they can be pricey at first, solar thermal systems for heating water or solar electrical systems (a.k.a. 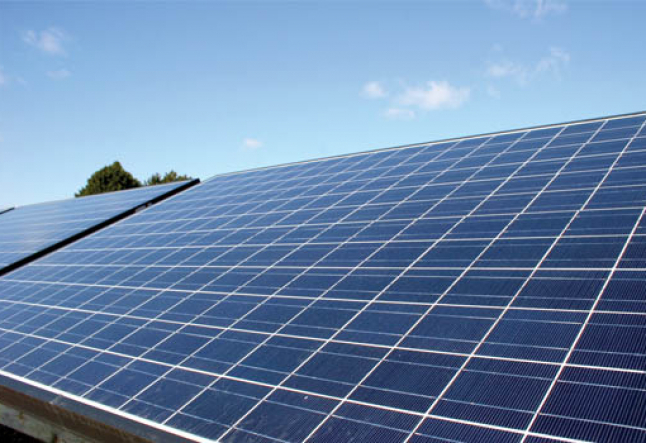 photovoltaic) can be installed in homes. These are separate systems, with thermal heating tending toward the less expensive. Solar systems have improved dramatically in recent years, both in terms of their efficiency and affordability, so seek out a fresh quote and new information on incentives and tax credits. Exposed south-facing windows tend to collect solar gain, so in the summer time employ exterior awnings and overhangs to keep the interior cool. Strategic landscaping with deciduous plants can block the sun in the summer yet welcome its warm rays in winter, since deciduous plants lose their leaves to compliment the seasons. REC’s or renewable energy credits are a great way for those who are not yet able to generate passive energy in the home due to cost or proprietorship. REC’s are not a way to cut down on your electricity bill, but they are a way to vote with your dollars. Most people, given the choice, would pay a little extra for renewable energy. Put simply, if you use 600kw hours of energy from a DWP nonrenewable source, you can offset your energy use with a membership to a Green-E certified company who will put in 600kw of wind-power, solar power or similar passive energy generation source into the grid in your name. Visit green-E.org and click on your state for a list of certified renewable energy credit companies or contact Traci Spencer at Clean and Green 310.434.9252 for more details on renewable energy credit programs. Water consumption is a vital area of concern, both with regard to quality and to reserves. 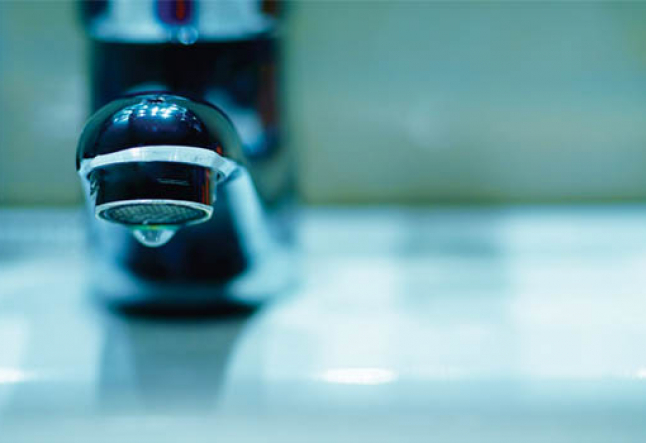 Water quality can be addressed by a whole home water filtration system, which tends to cost approximately $2,000. Renters or those on a budget can install filtrating showerheads, especially ones that eliminate chlorine, for around $100. Filters for kitchen faucets or a water distiller machine eliminate the need for wasteful plastic containers of spring water. In general, horizontal-load machines are more water efficient than top-loads and avoiding the pre-wash cycle on your washing machine is a simple way to save thousands of gallons of water per year. Owners can install double flush toilets to accommodate variations in flush needs, while renters or anyone with a conventional toilet can place a water bottle filled with sand in the toilet tank. Because the water bottle is taking up some of the space, every time you flush you’ll be using that much less water. Ideally, sprinklers should be unnecessary in the garden. Our reliance on them illustrates the unsuitability of the plants that have become the norm in our society’s sense of landscape design. Where possible, it is beneficial to replace high water use lawns and plants with a landscape native to the area that will require no watering once it is established. This will encourage native wildlife such as birds and butterflies that are part of the natural ecosystem to thrive. 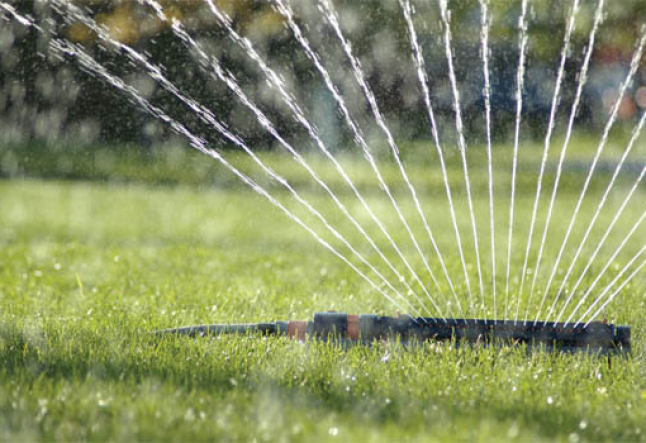 If you cannot change the landscape, make sure sprinklers are watering the yard and not pavement, turn them on manually rather than with a timer or even water by hand, just to make a psychological connection between how much precious drinking water is being used. 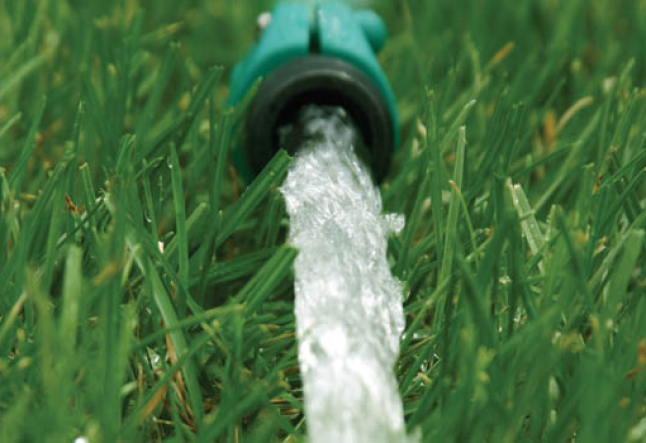 A great alternative to sprinklers is drip irrigation. This waters the root and avoids loss of nutrient rich topsoil. We want as little water as possible to leave the property as it only ends up polluting lakes, rivers and the ocean carrying trash and toxins via storm drains. Where possible replace asphalt with permeable paving together with a water management system such as a catchment, drainage pool or cistern which allows water to seep back into the ground on site. Used concrete can be broken into stepping stone-size chunks and used as a stylish design element. Or you can place a posting on craigslist.org and many landscape gardeners will offer to remove it for you for artistic or structural reuse in their projects. Homeowners can request that contractors and builders use more environmentally sound alternatives to typical building materials such as substituting engineered lumber for solid sawn lumber. This is made from small parts and off-cuts of trees and is compressed together rather than using one continuous piece of virgin wood. It is ironically stronger than the young trees we tend to harvest nowadays. Another alternative, FSC (Forest Stewardship Certified) wood, is wood that has been sustainably harvested. These organizations work with the surrounding communities to make sure they know how to use their forest as a sustainable resource, ensuring future generations with choice harvesting and replanting. Furthermore, consider using reclaimed lumber and other items. Specifically the ReUse People of California TheReusePeople.org keep warehouses full of building materials obtained from their deconstruction of homes. This includes doors, windows, lumber, fixtures and cabinetry. And as you buy reused, recycle anything you don’t want by posting it on Craigslist.org or donate it to Habitat For Humanity or any nonprofit that is quickly and inexpensively building housing. Except for fiberglass insulation, asbestos, vinyl and some other items, most anything can be reused. For more in-depth green building advice, Los Angeles and San Francisco both benefit from the presence of Green Building Resource Centers located at 2218 Main Street in Santa Monica (globalgreen.org) and 11 Grove Street in San Francisco (sfenvironment.com), while homes themselves can be found at greenhomesforsaleonline.com. In general, tips, strategies and resources for being ‘green on a budget’ can be found at smgreen.com. So much can be said about our lifestyles, from the ‘latte’ effect to the yoga mats we discard every few months. Buy a refill cup for your chai, reuse the same water bottle to hydrate and create or purchase a durable/washable yoga mat that could last years or simply use a towel. You might find yourself carrying a kit in the car which includes a cloth bag for groceries, set of Tupperware and cutlery for take-out, reusable coffee or juice/smoothie cup, coat hanger with cover for your dry-cleaning, basically a permanent version of whatever your daily habits may be. Seek out slight changes, not drastic ones that are maintainable in the long term. Living a sustainable life is a personal decision, it’s rekindling a love affair with nature, it’s about knowing your body’s needs and your soul’s desires. Done well, it too is yoga.